Adding structure to an expansive outdoor space should elevate the landscape, encouraging rest and relaxation while remaining appealing to the eye. 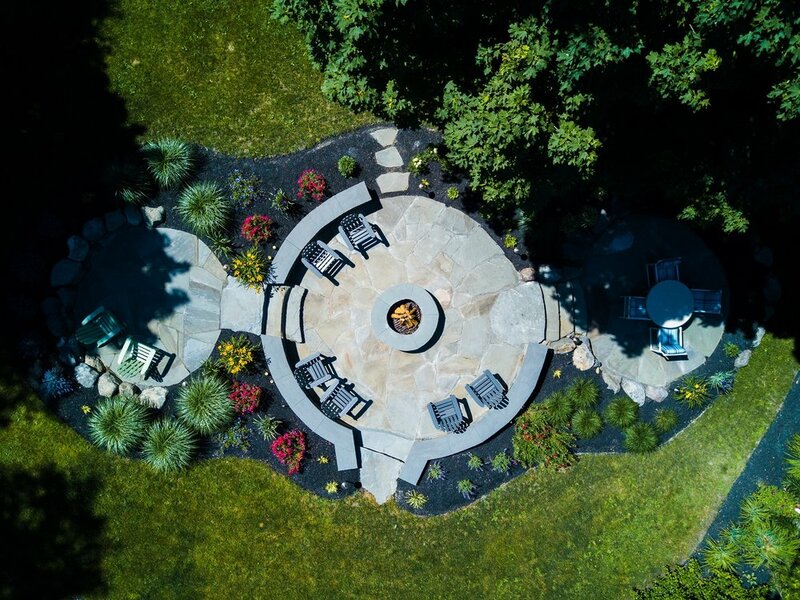 Designers incorporated three consecutive stone seating areas to create both a spacious and dynamic backyard hosting space for this Warwick, NY home. 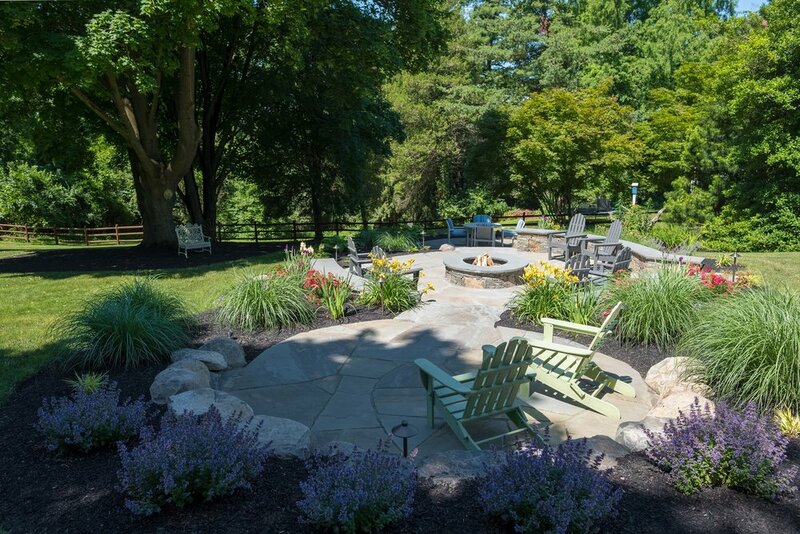 Stone retaining walls hug the inner circle where family and guests can sit around a fire pit on cool evenings. Connected walkways lead to two smaller pockets of seating, ideal for dining or morning coffee. 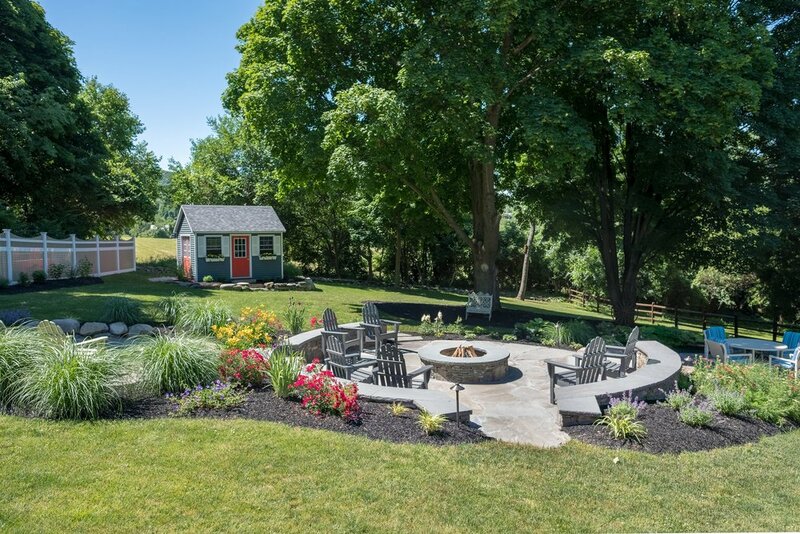 Lush gardens filled with local foliage surround each circle, transitioning the structured stone to the rolling green landscape of the rural home.